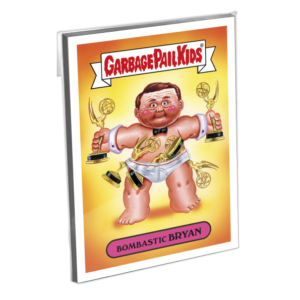 Topps today launched Garbage Pail Kids American as Apple Pie Prime Slime Awards set only available in the Topps Store. The set is based off of this past weekend’s prime time Emmy Awards show. 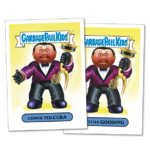 This set gives Topps a perfect way to promote their next set based off of popular TV shows. However, despite carrying the Prime Slime name, the set still falls under the American As Apple Pie banner. 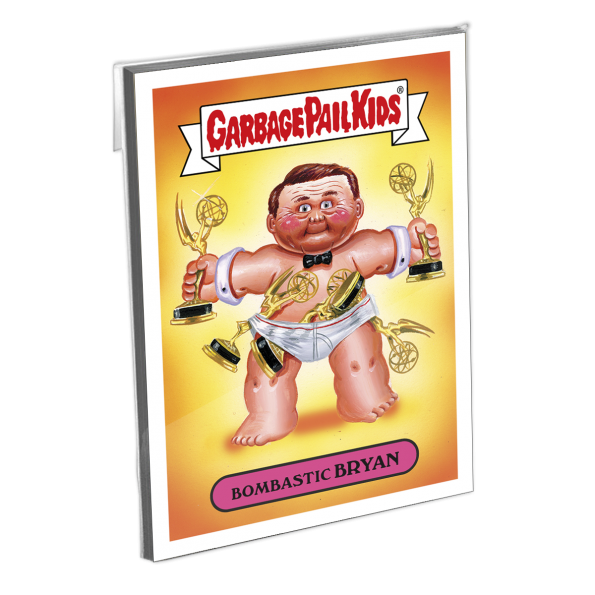 The set features 10 new pieces of artwork featuring nominees from the Emmy awards show. 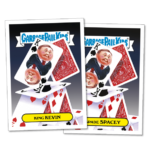 Each character can be purchased as a 2 card a/b set for $9.99 or the entire 20 card set can be purchased for $49.99. Like with previous sets, free shipping is being offered when you choose the SmartPost option. The set is available for 7 days with the sale ending next Monday, 9/26, at 12:00 Eastern time. Topps said the print run will be revealed after the sale on their Topps Blog. Here is the checklist along with images of the cards. 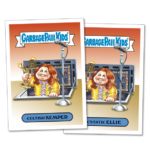 This entry was posted in 2016 GPK Pie, 2016 Trashy TV, Topps.com and tagged 2016 GPK Pie, 2016 Trashy TV, Topps.com by Jeff. Bookmark the permalink.